If you’ve been keeping up to date on all the iiNet news and products, you’ve probably heard about iiNet’s own Hybrid Fibre Coaxial (HFC or Cable) network available in Geelong, Mildura and Ballarat. What you might not have known is that nbn™ have also purchased Cable networks to bring the National Broadband Network to eligible users. Cable is a broadband service that uses Hybrid Fibre Coaxial Cable. It was first implemented to deliver Cable TV to homes, but is now being used as a two-way high speed broadband network, combining nbn™ fibre with coaxial cable to bring nbn™ to homes faster. 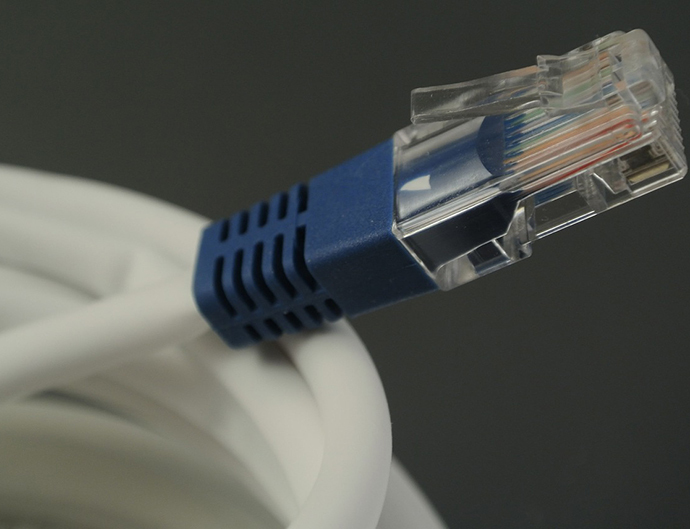 The best thing about HFC is its speed, which can be offered in the same speed tiers as a Fibre to the Premises (FTTP) connection. To help speed up the delivery of their fast broadband network, nbn™ have bought two different telecommunication companies’ HFC networks to add to their multi-technology mix. But nbn™ isn’t planning to just keep the purchased cable as it is: they’re going to upgrade it to bring faster, more reliable broadband to users sooner. So what does this extra Cable mean for end users? We take a further look into HFC below. It’s expected that HFC nbn™ will be delivered to more than 3 million premises across Australia, which sit within the HFC technology footprint. The network will be available primarily in metro areas, targeting capital cities. One of the great things about a HFC nbn™ connection is that it is less invasive and easier to connect than some other nbn™ technologies. Depending on the type of premises, only an nbn™ HFC modem should need to be connected, meaning little to no work required inside the premises, making it less intrusive during connection. You’d just need to plug it into your wireless router to get multiple devices connected at high speed. In most cases, once your area goes live, all you will need to do is make a call to your RSP, like iiNet, to connect and ensure you have an nbn™ ready modem to start surfing. Once the HFC network is upgraded and live, it is hoped it will deliver the fastest NBN™ speeds available. The upgrades being performed on the Cable will mean HFC will have better bandwidth than some other technologies. This means less congestion and better speeds for end users. The utilisation of existing HFC networks will help nbn™ reach their connection goals and get users on the nbn™ faster. Awesome I have RG6 cable connected to my home already for a service I don’t use. fibers/fingers crossed that I’m in the 3 mill. The NBN, now Australia’s biggest metaphor for “inequality”. Such a shame, such an opportunity missed. What is the status with estates covered by Opticomm? Can we pay the difference to have FTTP rather than this shared platform with everyone in our street? If you are in an area serviced by the Optus HFC network (originally ‘Optus Vision’) you’re probably covered. That’s one of the networks they are using. In urban areas where cable is not installed in the Telstra services will cable be provided so that those affected areas can also enjoy the faster HFC connection ? If this is not the case I can foresee no improvement in internet speeds for those residences lacking a street cable service. My home in Ellenbrook WA is conneted via coaxial cable which provides TV signal, phone and data connections. I have no idea who provides this service. There is no Telstra copper coming into the home. Is this what is classed as HFC? The Ellenbrook cable used to be an iiNet network which was rolled out as a trial in the early 2000’s. It was since then on sold. This technology is a HFC service. I will be dead before any of this crap gets off the ground. We should have had these options years ago.For elderly people like me you are flogging a dead horse. You can’t even transmit my comment without asking for another one. Who do you think you are kidding. The majority of Ellenbrook is covered by HFC, previously owned by eWire, now in the hands of Tel$tra/Foxtel. It is what the installers call “Brownfield” and chances are nbn(tm) will link up to this cable technology to extend the reach of fibre services to the many thousand premises in Ellenbrook. The only downside would be timing: we won’t realistically see this happen until the back end of the rollout, after 2017. My internet works fine, thanks, but my phone is still not working after 10 days from connection date. Apologies for the delay in the reply! I can see that your services appear to be up and running and you’ve used to Customer Feedback Survey to respond. Thank you for doing this, as we welcome all feedback, good or bad. If there is anything you do need, please don’t hesitate to be in touch. Checking with NBN ( via http://www.nbnco.com.au/connect-home-or-business/check-your-address) shows that your address is not yet on the rollout map. One can only hope that it is better than nbn fixed wireless internet. I have a connection with iiNet. At first, it was great, given that I didn’t have broadband preiously. Then, after a couple of months, the signal quality began to fade and at present, the quality is down to intermittent broadband. There is a VoIP telephone service attached to the service and we do not get mobile coverage at the installation site. iiNet support wants to test their gear at the site, even tho’ the nbn equipment show the poor signal quality. The nbn equipment is before the iiNet gear and the testing will necessitate cycling of power, which will drop the phone service and hence, preclude the proper testing of the iiNet gear. Currently, a stalemate exists and the fixed mobile service is about to be cancelled as iiNet are unable to troubleshoot the poor signal quality. I am sure that this sort of issue with signal quality will not exist with HFC connections, but the support issues may; something to be aware of folks!!! Thanks for touching base – this sounds like a very tricky situation, especially due to the nature of the issue. We would suggest speaking to Support and asking them to look to lodge a fault with NBN directly, with a view to a technician visit. this may see our own NBN team becoming involved as well. We understand that this is going to be haphazard at the least, noting the details you’ve given. If possible to check the cable i have, because my net work very slow. We’d encourage you get in touch with our Support (13 22 58) team, Betty. A Customer Service Representative will be able to review the type of broadband and performance of your current connection, along with any alternate services soon to be available in your area. We’re not even considered for the NBN as yet and never know when it will ever be coming our way??????? Don’t fret, David! Register your interest (https://www.iinet.net.au/internet/broadband/nbn/register) and we’ll keep you in the loop with any NBN advancements in your area. Almost ready for connection to nbn. looking at plans! would like contact rep.
Any plans take your fancy, Coplin? Simply give our Sales (13 19 17) team a buzz to get the ball rolling. I live in Baulkham Hills NSW which will have the HFC technology rolled out in 2H 2017 Yah! One problem, we live in a 7 unit townhouse complex there is no cable TV installed, no coaxial cable anywhere in the complex. There is coaxial cable in our road. So I walked up our road and counted the number of fee standing houses and townhouse complexes that have coax to them, it is easy to see. 70% of free standing houses do not have coax, none of the townhouses have coax cable in our road of approximately 100 homes(a statistically representative sample). By my calculation slightly less than 20% of homes in my street have coax installed for HFC. So the nbn coverage in suburbs covered by HFC will only be 20% of homes? Thank you Michael. that is informative, if not encouraging. I have been connected to the Geelong HFC network (now iiNet) for over 12 years and have enjoyed an extra fast service for that time. A current test gave a download speed of 185Mbps and upload of 45Mbps which is faster than the speed advertised by NBN for its broadband service. At times I have had a download speed of 250Mbps – excellent. I also have a netphone as my home phone through the cable and have no problems with it. My concern is that our network may be replaced by a slower FTTN service with NBN and our speeds reduced, so our service will be worse than the current one. Can we be assured that our fast service will continue using our current HFC network maintained in its current state? Is it possible that NBN will take over and maintain the iiNet HFC network in Mildura, Ballarat and Geelong? It has served us well. Sound like there’s another Election coming. I received a letter before the last election stating I’d have the NBN available Q4 2017. Two months after the Election a received a letter stating that due to delays the NBN wouldn’t be installed until 2019. Then the NBN admitted problems with HFC tehnology causing further delays. At my previous home I had fibre installed to the boundary at Christmas 2013, only to have this government decide to rip if out and replace it with copper. It still took them until Q2 2017 to get it installed. Of course, now they’re talking about moving back to Fibre to the Kerb. everyone is equal on the n.b,n, only some are more equal than others . I have Foxtel on cable. I can connect to the nbn via hfc but am hesitating at the moment. I understand about using a splitter to get the nbn and continue with Foxtel, but I don’t know if I should change Foxtel to satellite and just have the nbn as a separate connection. I know Foxtel is going to migrate customers to satellite, but frankly, who knows what will happen in the future. I think I might just take a chance with the splitter and continue with Foxtel cable for the moment. Any advice appreciated. Cheers for taking the time to comment, Bronwyn and a fantastic question. The idea of the splitter that NBN installs is to ensure that there’s no interference when using Cable TV services while the internet is running. Sadly, with respect to your cable TV supplier, we’re not aware of what they are doing with respect to transition from fixed line delivery to satellite so may be a good idea to have a chat with them with respect to moving it to satellite. All this being said, if there is any difficulty from either the NBN connection affecting the Cable TV or vise versa, our friendly support team are available day and night to help out and arrange fault to the wholesaler if it ever is an issue.